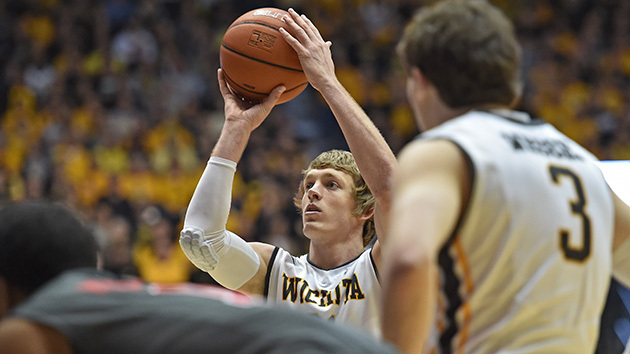 Everything you need to know about the Wichita State Shockers as they begin the NCAA tournament. The Case For: Wichita State was one of the most polarizing bubble cases, but in the end the Shockers squeaked in—albeit in a First Four matchup. That may seem like a negative, but keep in mind that since the First Four started in 2011, one of its teams each year has won at least one other game in the tournament. Wichita State is the ideal candidate to be that team this year for two key reasons: defense and experience. The Shockers have the nation’s No. 1 adjusted defense and are the only team in the country holding opponents to fewer than 90 points per 100 possessions. They also have Ron Baker and Fred VanVleet: two excellent senior guards who have played in the Final Four and lead the team in scoring and assists. The reason the Shockers were on the bubble was because of a disappointing nonconference season, but multiple injuries, including to VanVleet, kept Wichita State from being at full strength for most of its early losses. With VanVleet back, the Shockers beat Utah by 17 points in December, and the Utes are a No. 3 seed in this tournament. Wichita State knows how to win on this stage—it’s won at least one game in each of the last three tourneys. The Case Against: Remember the polarizing part of Wichita State’s bubble case? Injuries hurt the Shockers early on, yes, but it remains that for the fourth time in five years they failed to win the Missouri Valley tournament. They dropped three games in conference play (including the MVC tournament) this season, and all carried a similar theme: the Shockers’ brilliant defense came through (holding all three opponents under 60 points) but the offense did not. Baker and VanVleet are the only players averaging double figures, and VanVleet in particular is struggling offensively of late, failing to reach 10 points in six of his last 11 games. Wichita State has the defense to contend with anyone, but if its offense doesn’t show up in March it won’t matter. The Shockers are certainly capable, but a lot will come down to the play of Baker and VanVleet. They’re not a good three-point shooting team and likely aren’t going to beat many teams from the perimeter, so the Shockers will need to rely on other forms of offense to keep pace.